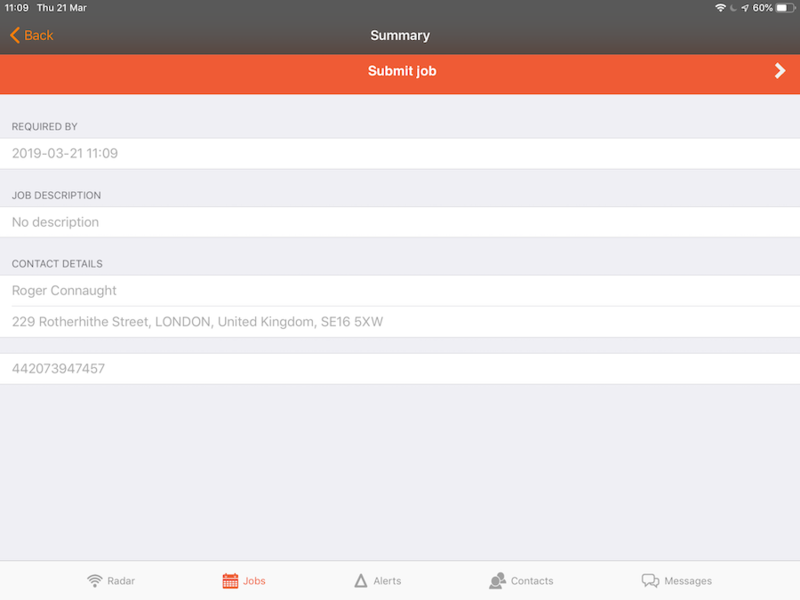 With Okappy, you or your employees and subcontractors can add jobs from their iPhone, iPad or Android device. Note: This functionality can be turned on or off on an employee by employee basis. 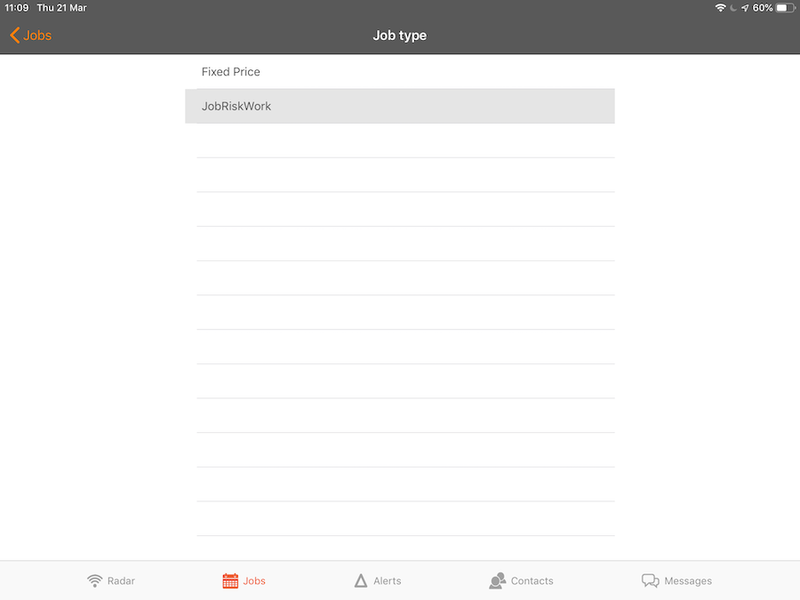 To add a job from within the Okappy app on your phone or tablet, first click the Okappy icon at the top left of the jobs screen. 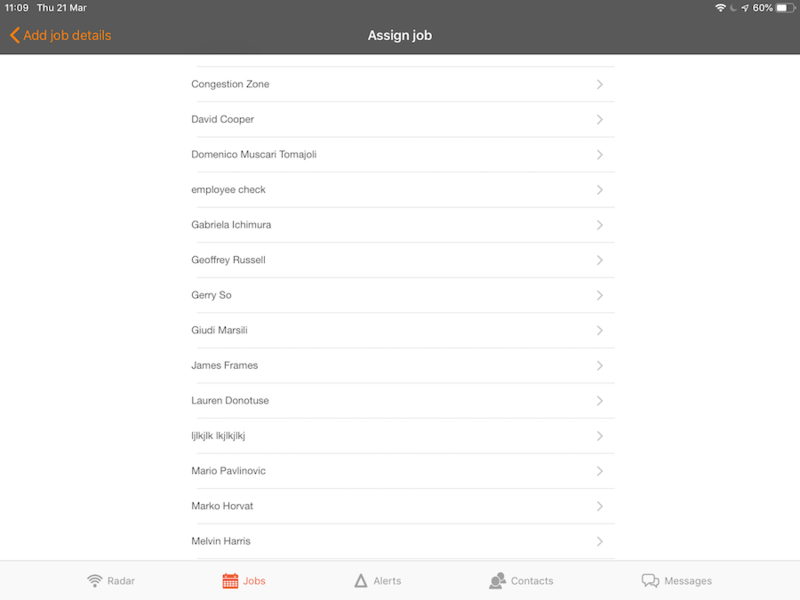 Note: You can set whether your employees see your customer list. If this setting is turned off, the customer will automatically default to your company. An administrator can change the customer later if required. 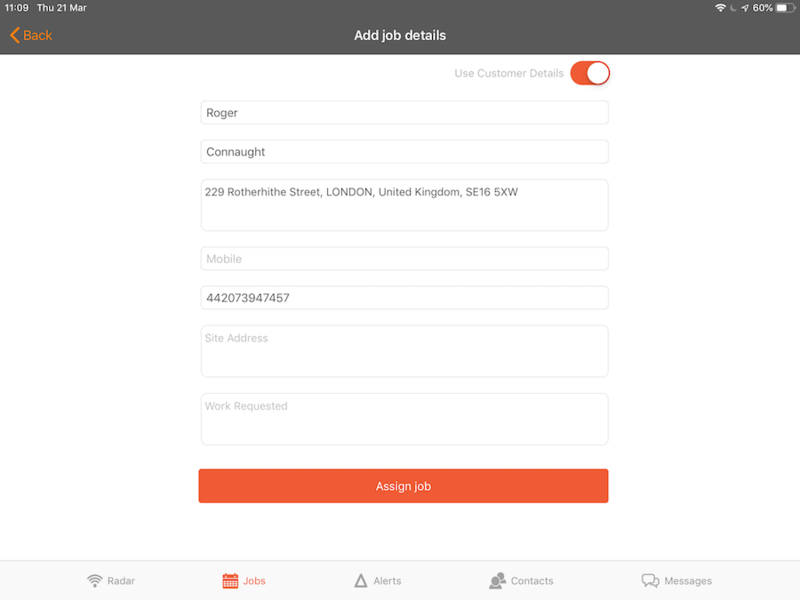 You can add more customer details, or click the Use customer details button to automatically pull the details from your customer database. If your employee is an administrator, they can assign the job to any employee or subcontractor. 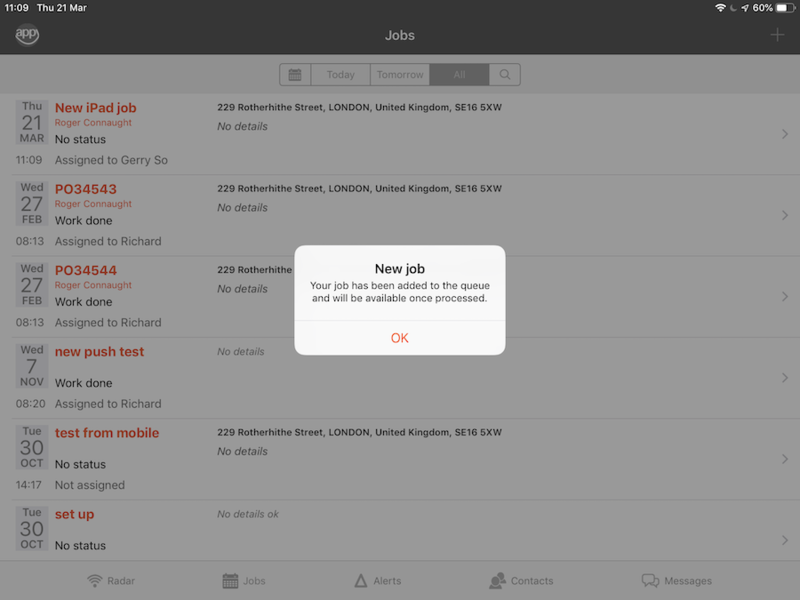 If your employee only has standard access, this step will be skipped and the job will be added for them. 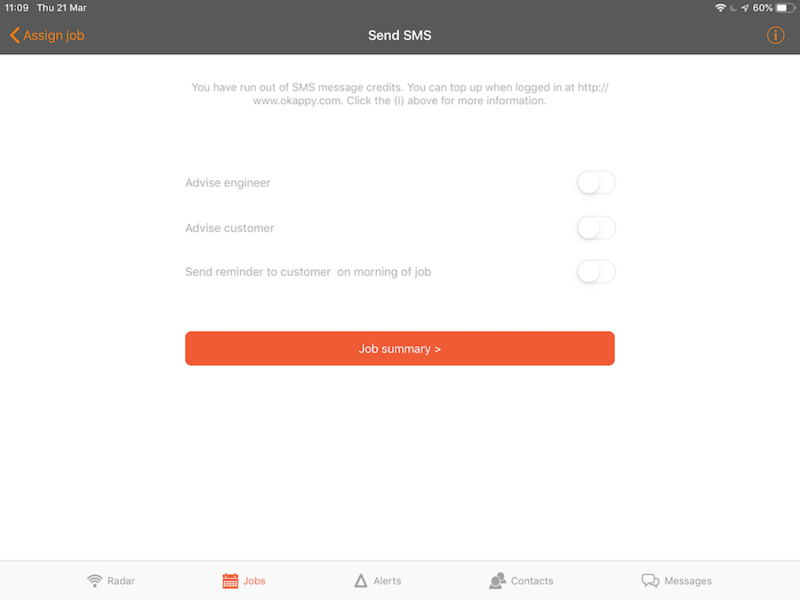 SMS message notifications can be sent to your customer and engineer if required. 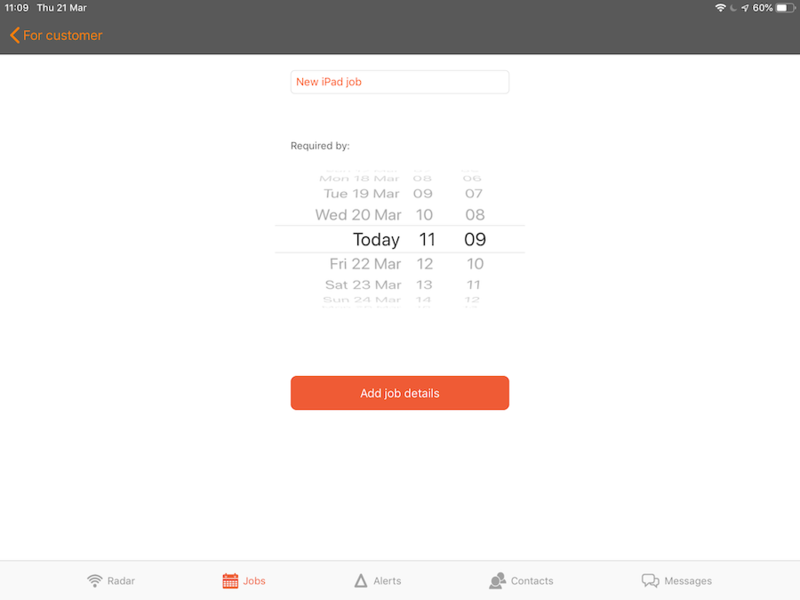 Click next to view the job summary, if you're happy with it you can submit the job. 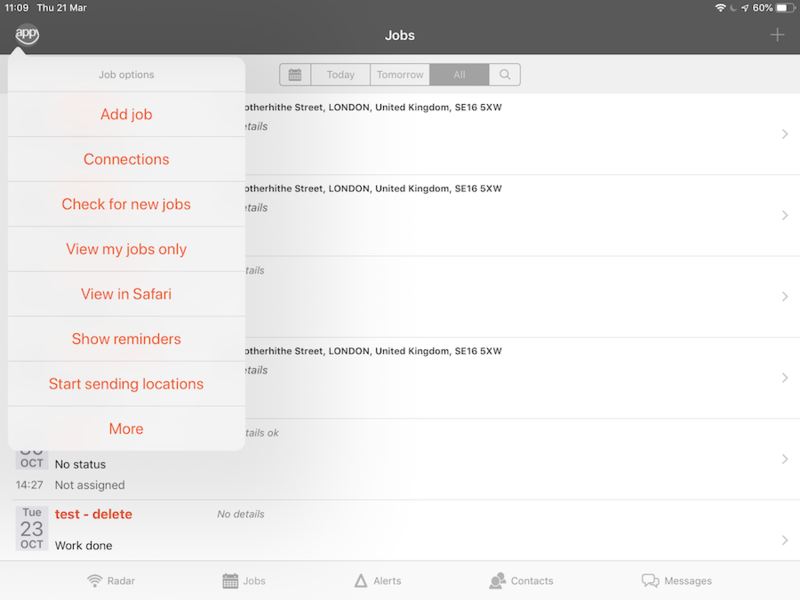 The job will be added and you should see it in the office and on your device once processed.